The extracellular matrix (ECM) constitutes the scaffold of tissues and organs. It is a complex network of extracellular proteins, proteoglycans and glycoproteins, which form supramolecular aggregates, such as fibrils and sheet-like networks. In addition to its biochemical composition, including the covalent intermolecular cross-linkages, the ECM is also characterized by its biophysical parameters, such as topography, molecular density, stiffness/rigidity and tension. Taking these biochemical and biophysical parameters into consideration, the ECM is very versatile and undergoes constant remodeling. This review focusses on this remodeling of the ECM under the influence of a primary solid tumor mass. Within this tumor stroma, not only the cancer cells but also the resident fibroblasts, which differentiate into cancer-associated fibroblasts (CAFs), modify the ECM. Growth factors and chemokines, which are tethered to and released from the ECM, as well as metabolic changes of the cells within the tumor bulk, add to the tumor-supporting tumor microenvironment. Metastasizing cancer cells from a primary tumor mass infiltrate into the ECM, which variably may facilitate cancer cell migration or act as barrier, which has to be proteolytically breached by the infiltrating tumor cell. The biochemical and biophysical properties therefore determine the rates and routes of metastatic dissemination. Moreover, primed by soluble factors of the primary tumor, the ECM of distant organs may be remodeled in a way to facilitate the engraftment of metastasizing cancer cells. Such premetastatic niches are responsible for the organotropic preference of certain cancer entities to colonize at certain sites in distant organs and to establish a metastasis. 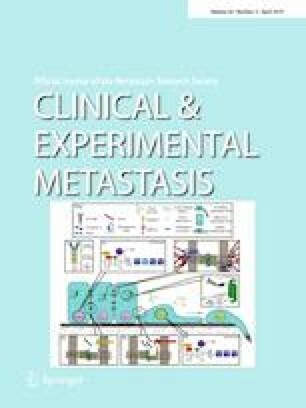 Translational application of our knowledge about the cancer-primed ECM is sparse with respect to therapeutic approaches, whereas tumor-induced ECM alterations such as increased tissue stiffness and desmoplasia, as well as breaching the basement membrane are hallmark of malignancy and diagnostically and histologically harnessed. To study different aspect of tumor biology, J.A.E. receives financial support from Deutsche Forschungsgemeinschaft (SFB1009 A09) (MMP14 in invadopodia), from the People Programme (Marie Curie Actions) of the European Union’s Seventh Framework Programme FP7/2007-2013/under the REA Grant agreement n°  (CAF differentiation in tumor stroma), and from the Wilhelm Sander Stiftung (grant:2016.113.1 to J.A.E.) (Interactions between tumor and endothelial cells).